The Reef Hawaiian Pro , first event in the Vans Triple Crown of Surfing presented by Rockstar Energy Drink, runs from Nov 12 - 23. James Wood will start in the round of 128. Adam Melling and Owen Wright (pending doctors advice) will start in the round of 64. Good luck fellahs. The heat draw is out today. Woody surfs in Ht 6 round 128 with Marco Giorgi, Joel Centeio and Michel Bourez. Mello surfs Ht 15 round 64 with Josh Kerr . 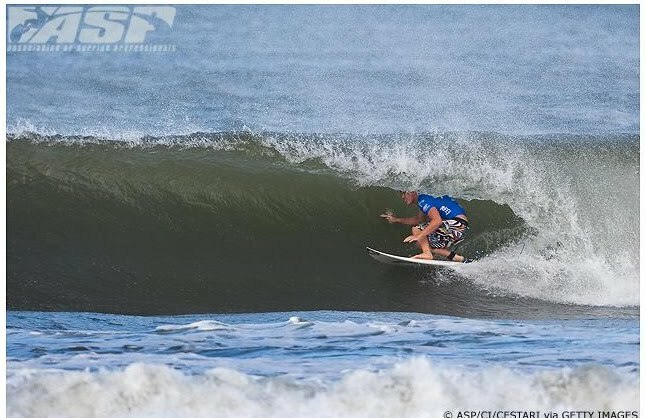 If Owen can get the green light from the medico he surfs Ht 10 round 64 with Pat Gudauskas . A good start for Woody coming 2nd moving into the round of 96 eliminating Michel Bourez. Bad waves today. Woody had a big win in a tough heat in the round of 96. Woody scored an 8.17 and a 6.23 to move into the final 64 Ht5. Mello will start his Hawaiian campaign in Ht15. Swell is predicted to hit the North Shore tonight and bring us waves by tomorrow morning. Check back tomorrow morning at 8am for event status. Mello had an amazing win going from 4th to 1st in the dying minutes and getting arguably the barrel of the day. Adam won his heat with a 9.80 and 1.00. He surfs next in Ht 8 round of 32. Woody was eliminated in a slow heat that was only decided in the last minute. He finishes in 33rd and gets a small boost up the ratings. Bad luck for Mello today after leading for the entire heat he couldn't find a back up for his 8.07 and slipped into 3rd. Good luck at Sunset fellahs.